Cheap Weekend Fun in Boston for May 23-25, 2015! 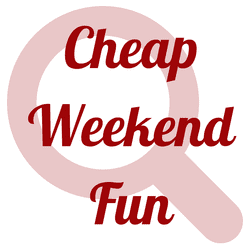 Sorry for the delay in the Cheap Weekend Fun Roundup for this extra long weekend in Boston and sorry for the crappy post. I’ll blame it on maternity leave. The roundups should be better in the future and back to normal soon, I hope. Please leave a comment below if I missed anything fun and cheap this weekend, which I’m sure I did. Thanks for understanding. MFA Free Open House: Monday, May 25, 2015 at the MFA. The Museum of Fine Arts in Boston is free on Monday all day. Keep in mind that parking meters in Boston will be free on Monday so make sure to save those quarters. The Red Sox are also playing at Fenway Park this weekend and here’s a few tips to do Red Sox Games on a Budget!